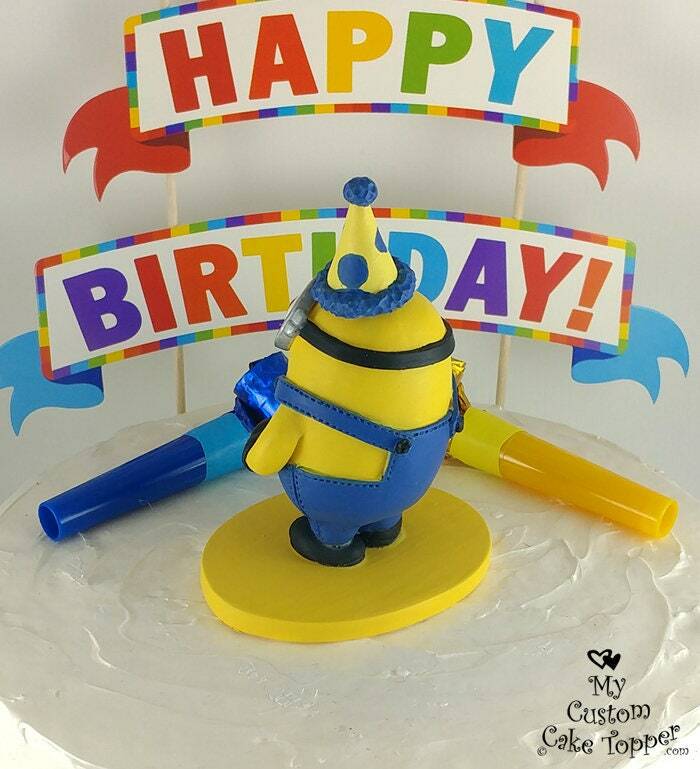 Minion birthday cake topper! 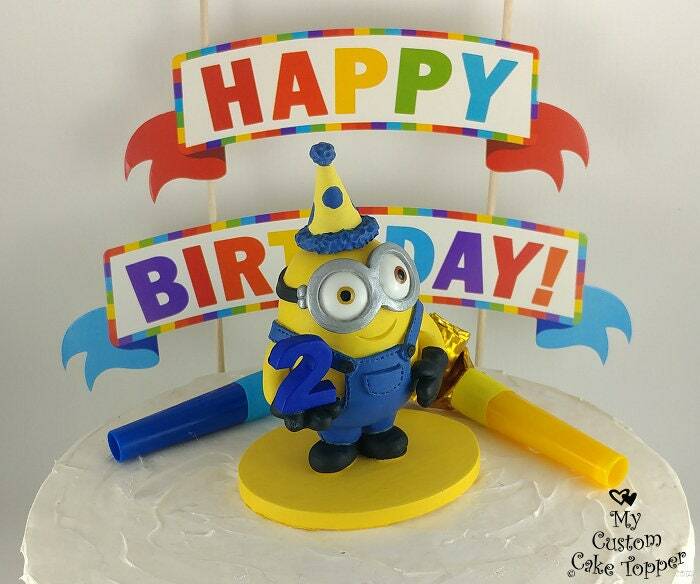 Love Despicable Me and Minions? 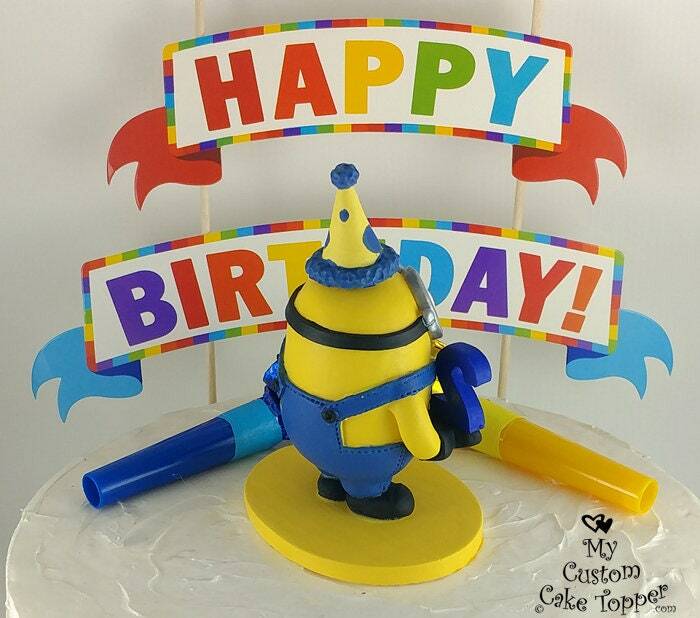 This minion inspired topper is sure to fit! 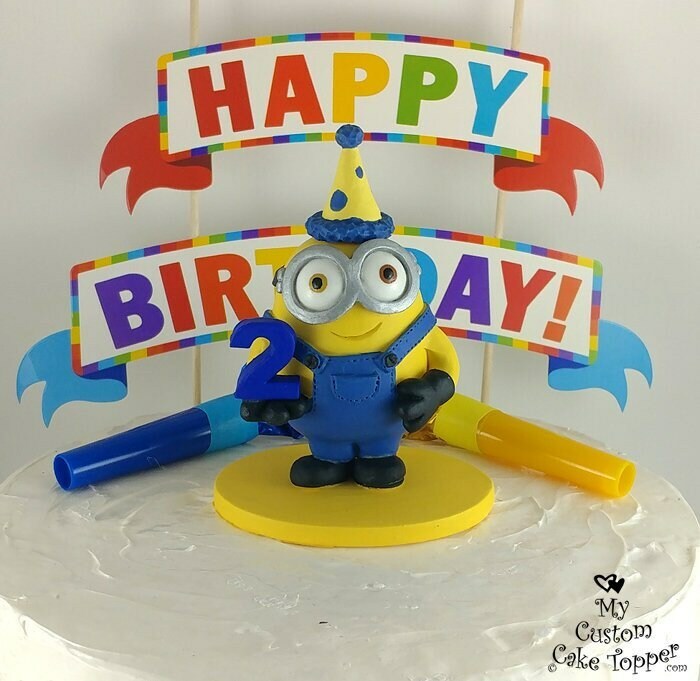 It is non-edible, a great keepsake from your kids birthday party! You can pick the age (number) and color of the number! 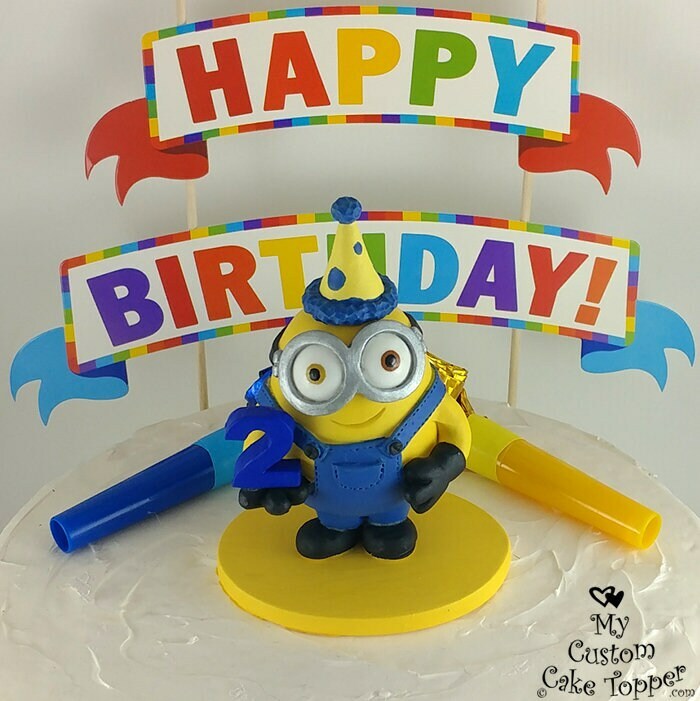 The base and hat color may change to fit with the color you choose for the number. 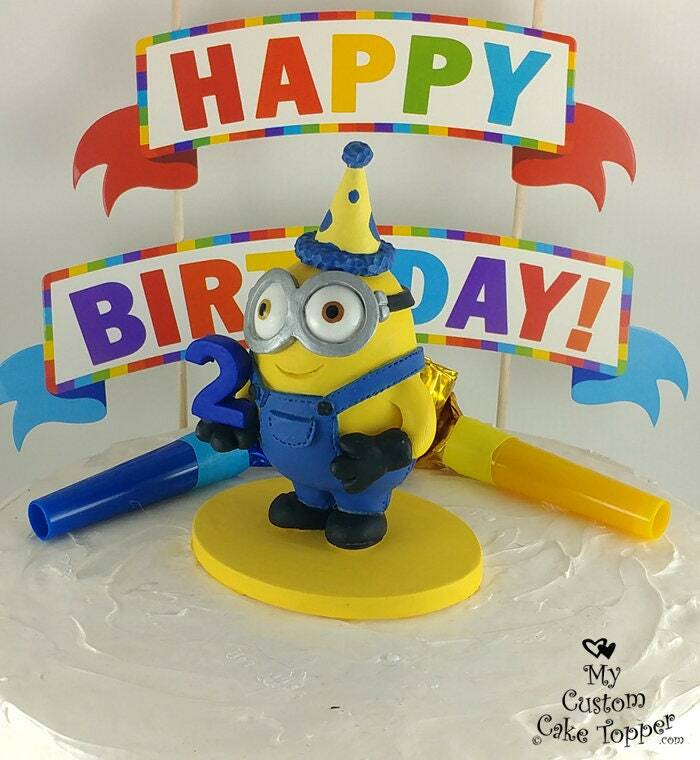 This is an example of the exact minion and pose you will receive. 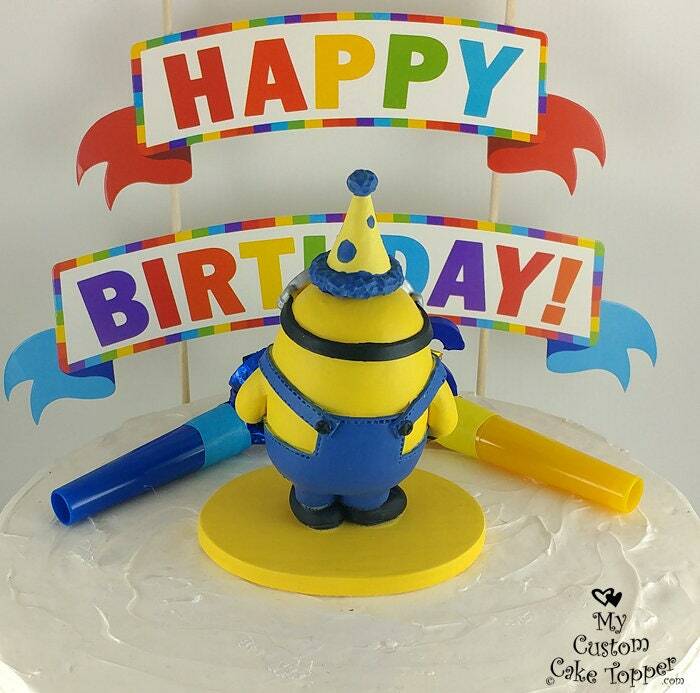 The minion with his hat and base is almost 6" tall, 3" wide and 2.5" deep. 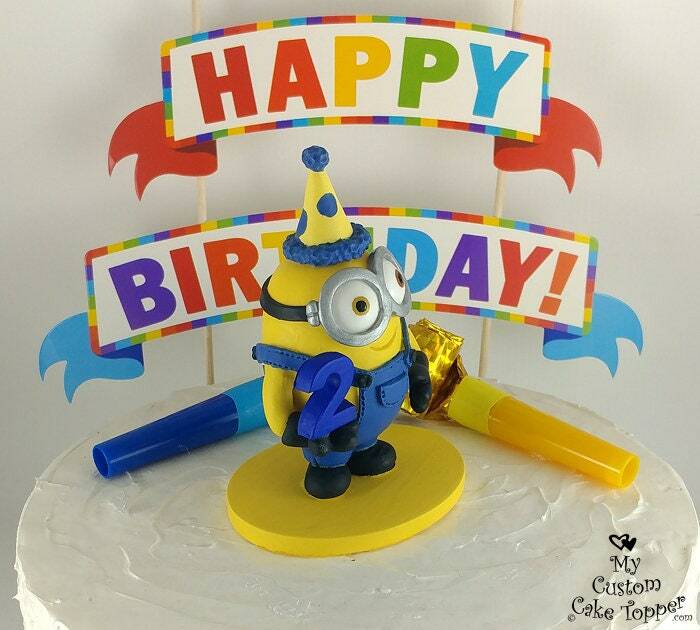 Our minion sculptures are made from a durable resin and hand painted. If you have another size in mind or something special feel free to contact me for a price quote! 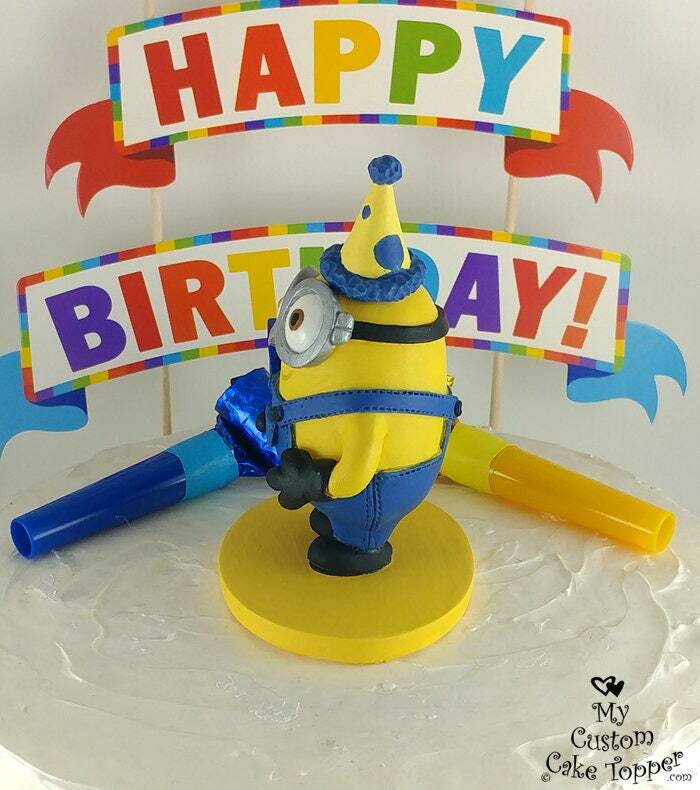 This awesome minion is cast from my original sculpture, hand painted and detailed.